SUCCESS BEGINS AND END WITH THE RIGHT APPROACH. 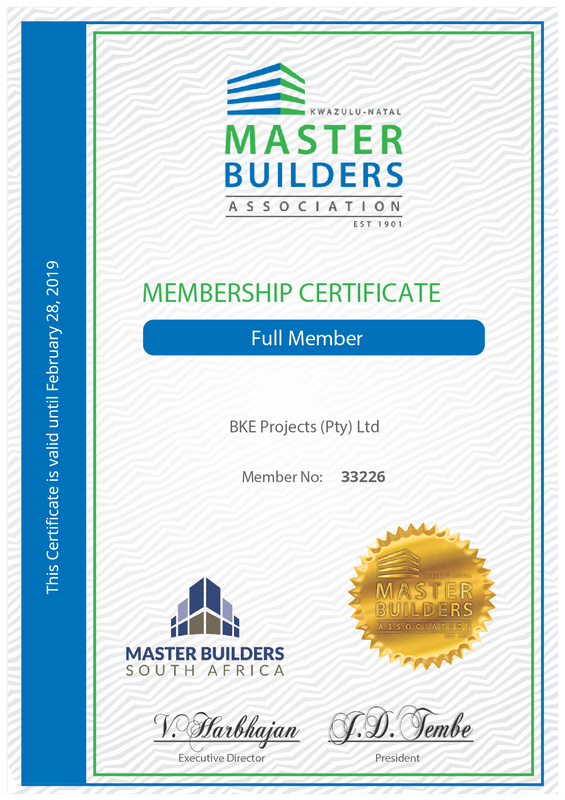 BKE Projects (Pty) Ltd was established in October 2013. Mr Krisen Naraynsamy and his team have been working in the civil engineering industry where the core values are Time, Cost and Quality. BKE Projects has been working in the building environment for 12 years under the Civil Engineering Company. During this period Mr Naraynsamy has worked on various projects ranging from civil projects to structural projects. With our strong regional presence, we’ve developed working partnerships with our customers, consultants, supply chain and local communities that are built to last. In practice that means being inclusive, proactive, open and collaborative. 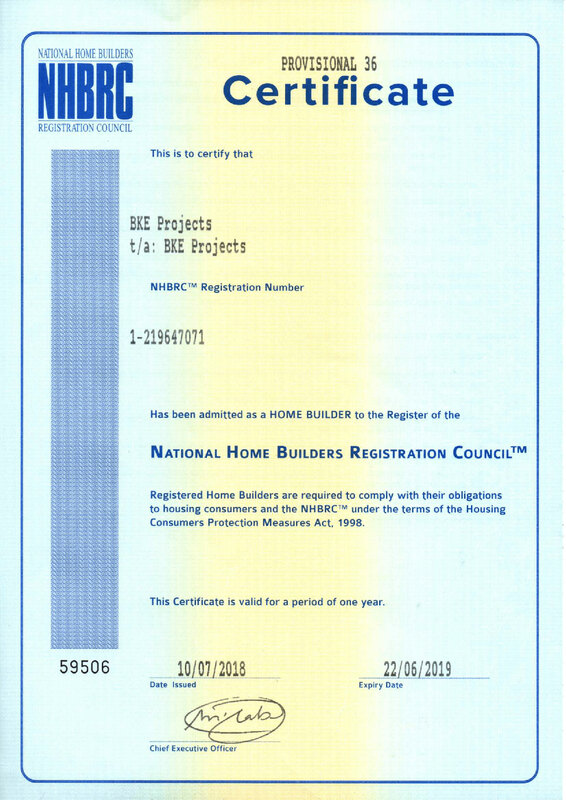 BKE projects also have the privilege of appointing professional resources should it be required. We know that success begins and ends with the right approach to planning, specification, scheduling, choosing the right team, managing sub-contractors, liaising with all the project stakeholders and resolving issues as they come up. This enables BKE projects to produce a quality product within the allocated time frames and within the budget. Our aim is to be a distinctive construction, facilities management and property services brand, by being customer-centric, creative and sustainable. We’re part of a great industry that can make a huge difference to the quality of people’s lives. But within our industry we want to be distinctive, thanks to our exceptional people and the way we work. People, because they represent that rare but essential combination of experience and attitude that you need to deliver world-class projects. Access to the right resources and the knowledge to understand what ‘the right resources’ means for your specific development. Being embedded in the local landscape with all the knowledge of the local market, cultural fit and commitment to the community which that brings with it. Collaboration with the customer, stakeholders and the whole supply chain, right from the start, so we can do whatever is needed to fully understand and deliver the client’s vision and relate to our customers. Working collaboratively delivers real, shared benefits to customers and to BKE. Shorter tender and construction times. Greater efficiency and cost savings.